« Wie würden Sie auf diese Lehrstellenbewerbung reagieren? 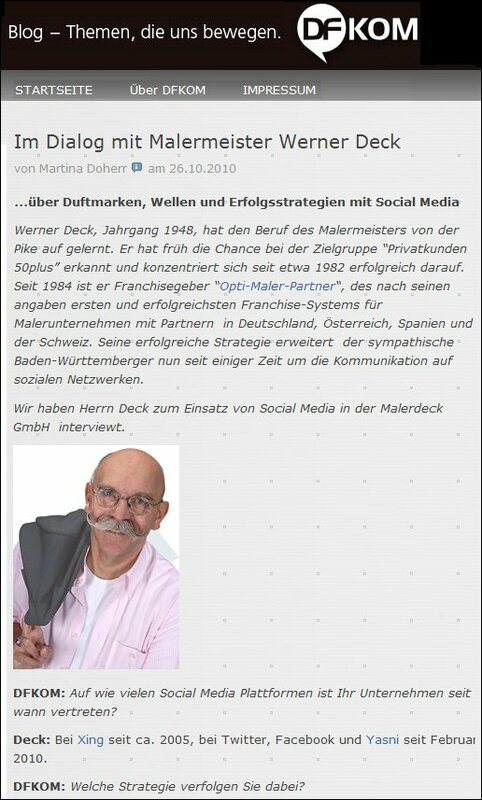 Die Agentur DFKOM hat mich auf ihrem Blog zu Social Media interviewt. This entry was posted on Dienstag, Oktober 26th, 2010 at 16:38 and is filed under Twitter, Facebook & Co. Social Media. You can follow any responses to this entry through the RSS 2.0 feed. Both comments and pings are currently closed.